Japanese actor Hideaki Kusaka, who is also a Super Sentai robo suit actor for over 38 years has finally received this year's Japan Action Award for his special achievement in the tokusatsu industry. Hideaki Kusaka's first job as a Super Sentai robo suit actor was in Denshi Sentai Denjiman where he suited-up as the team's main super robot, Dai Denjin where he worked with Ultraman director Kazuo Sagawa. He reveals that he was going to quit in the first three days of suit acting due to the fatigue of wearing the Dai Denjin suit but he kept on working with people in the set inspiring him. 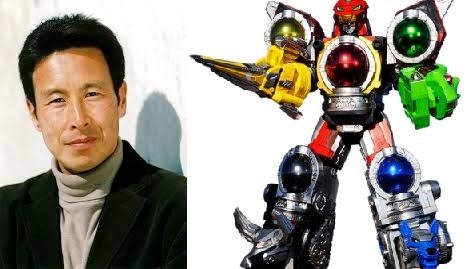 Hideaki also many villain roles in Super Sentai as well as Bangai/Extra Heroes beginning with Ninja Man, Deka Master, Wolzard and Ryu Commander. From Super Sentai fans all over the world, we congratulate Mr. Hideaki Kusaka for this great achievement of his life for all the hard work that he did for the past 38 years.